Breakdown: A fresh face to the Basketball Spotlight scene, the straight A student truly impressed. The 5’9 6th grader can play any position from the 1-5. He grabbed rebounds and pushed the ball the length of the court with ease. He even has range beyond the arc. 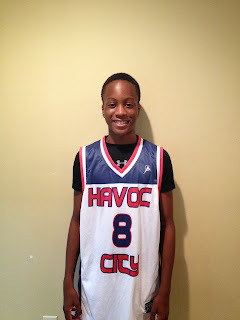 Achufusi had a game high 22 points and 9 rebounds in Havoc’s final game against Team Philly scoring from just about everywhere on the floor. We will keep our eye on this kid.